Born in Austria in 1885, Josef Frank was a multi-talented artist who was very accomplished in several fields. Widely considered to be one of the preeminent textile designers of the mid-20th century, Mr. Frank was also a successful architect and fine artist. While living in Austria in the 1920’s, artist Josef Frank designed an assortment of Modernist-style houses, as well as a large number of public housing units. In 1925, he co-founded the Haus & Garten company, where he designed an impressive portfolio of chairs, tables and other furniture items. Since the beginning of his career, Josef Frank created his own style of Modernist design that focused on comfortable functionality. In 1933, Mr. Frank and his Swedish wife moved from Austria to Sweden, to avoid the threat of Nazism that was steadily growing in his homeland. After settling in Sweden, Josef Frank developed a style of colorful modernism that often featured whimsical renditions of flowers, wildlife as well as assorted greenery. The bright and vibrant textile designs that Josef Frank created throughout his career maintain a simple and timeless freshness that keeps them consistently popular and relevant. In Sweden, Josef Frank teamed up with the owner of the fashionable Svenskt Tenn interior design store, and began a long tradition of producing stylish, high quality products. From the early to mid-20th century, Mr. Frank designed more than 200 attractive textiles. Amazingly, almost three dozen of these designs are still being produced today – a true testament to the longevity and timelessness of his artistic abilities. The textile patterns designed by Josef Frank possess a unique sense of vibrancy, along with artistic freedom from conventional design. His frequent use of clean white backgrounds, and crisp black backgrounds allows the other colors on his designs to take the spotlight. In many of Mr. Frank’s textile designs, over-sized flowers co-mingle with green leaves, twisting vines, and miniature flowers, creating beautiful assemblages of color. Among the delightful textile patterns that were designed by artist Josef Frank are “Himalaya” with its tropical birds in a garden-like setting. His “Butterfly” pattern from the mid-1940’s is captivating with its assortment of butterflies, insects and fish set amid the wilds on a clean white background. Although many of Josef Frank’s textile patterns feature large flowers, birds, leaves and blades of grass, sometimes his patterns took a different direction. His “Manhattan” pattern repeats street grid diagrams from New York City, and his “Italian Dinner” pattern includes an artfully arranged selection of dinner ingredients. The broad spectrum of items designed by Josef Frank also includes all sorts of home furnishings, rugs, and furniture. The delightful selection of vintage rugs that were designed by Josef Frank are lively, imaginative, and filled with color. A tiger rug that is shaped just like a real animal pelt still gives off a sense of playfulness, and an abstract shaped rug looks futuristic, no matter what year it happens to be. 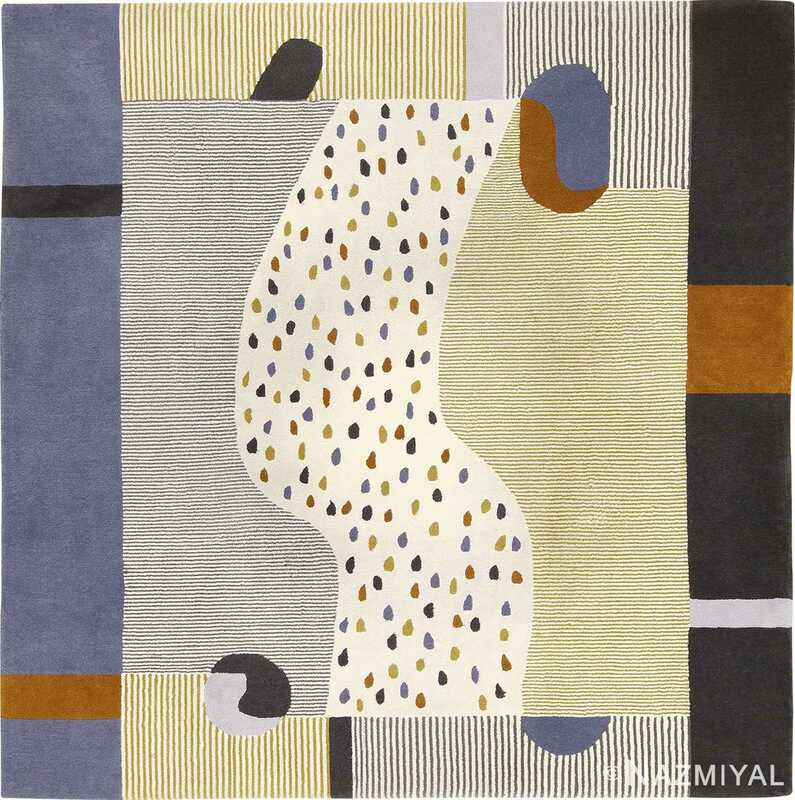 There are horizontal, and vertical-designed rugs that are square, rectangular, round, and free-form in shape, and they are all elegant works of art. Rugs designed by Josef Frank are highly prized as collector’s items by people all over the world. 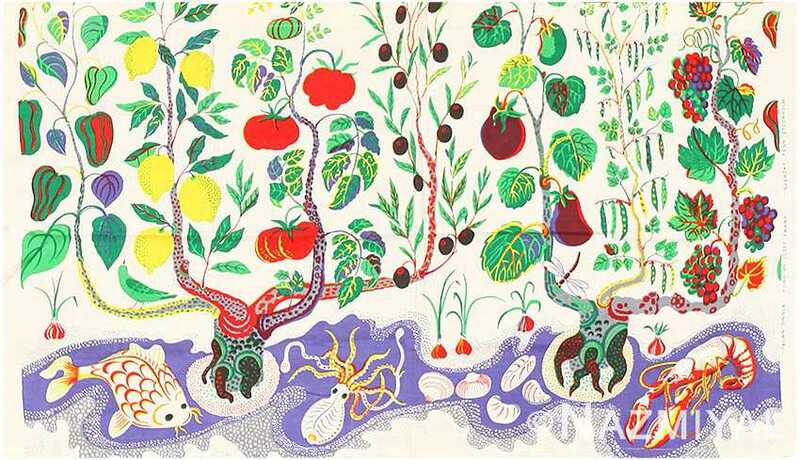 In recent years, there has been a great resurgence of interest in the various works done by the artist Josef Frank. In 2010, a Google Doodle was produced in honor of his 125th birthday, and in 2017, a major exhibit of his work will be held in London, England. Upon one viewing of Josef Frank’s designs, it’s easy to see why he is considered one of the world’s all-time finest textile art designers.